Cereal Dispenser: Buy at the best value for money! Most guests will wake up pretty quickly at the thought of a well-stocked breakfast buffet, but without the proper displays and equipment, a self-service feast can turn into a chaotic free-for-all. The secret to a great breakfast buffet is clever storage and display, and easy access. With a cereal dispenser from our range of catering equipment, you get all three in one handy unit. Serve up to three choices of cereal with this easy to use device that invites your guests to come back for seconds. The goal of great self-service hospitality to give your guests the freedom to customise their dining experience, without needing to do the hard work or feeling like they’ve been ignored. There’s a fine line, and it can be crossed quite easily, especially first thing in the morning! A professional cereal dispenser from the culinary gurus at Royal Catering is one of many ways you can give your guests seamless self-service experience. For hotels, B&B’s, restaurants, and cafeterias, a cereal dispenser is the best way to serve the masses. Even in busy home-kitchens, with a cereal dispenser you can help to ensure a stress-free breakfast-table before the kids set off to school. Whether your guests are choosing from muesli, cornflakes, chocolate or clusters, and even toppings like nuts, seeds and dried fruit, with a cereal dispenser, each choice is displayed with clarity. The scratch-resistant, transparent cylinder allows for crystal clear visibility, which also lets you know when it’s time for a refill. Each cereal dispenser is air-tight, helping to keep ingredients fresher for longer, and with a handy spout and tray for spillage, clean-up is kept to a minimum. Our largest cereal dispenser holds three separate 3L units, providing an excellent range of choice for your guests. The intuitive design allows the unit to be used from three angles (and there’s three diners) at once, helping to keep the line of hungry guests moving smoothly. Simply place your bowl below the spout, and turn the convenient rotary wheel to control the portion size. So simple, it can be done before your first cup of coffee! For compact display areas, our smaller cereal dispenser is ideal. This is particularly useful for displaying speciality food options, such as gluten-free cereals, separately from other breakfast options. 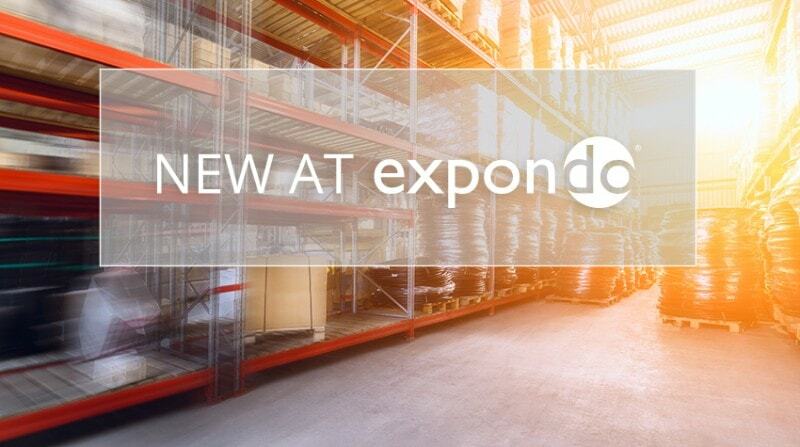 At Expondo, we understand that seamless self-service is a hallmark of excellent hospitality. But there’s more to a breakfast buffet than cereals. For many diners, the crowning glory of a good breakfast is quite simple – a hot cup of tea or coffee. With our range of coffee machines and other hot drinks dispensers, you can make sure that every guest gets their caffeine fix and when it comes to juices and other cold refreshments look no further than our range of drinks fountains. Fitted with an intuitive pouting handle, a secure, drip-resistant valve, and an easy-to-clean tray, you can serve up to 21 litres of juices, and hardly spill a drop! Finally, for an endless array of perfectly browned toast, our range of catering toasters are the ideal choice for breakfast buffets, big and small. Like many items in our range of kitchen equipment, we choose high quality stainless steel for each of our catering toasters. Our catering toasters may be compact, but with our largest unit serving a staggering 720 slices per hour, they can cater for crowds even in sprawling cafeterias. We hope that you’ll consider a cereal dispenser or any of our breakfast gadgets as the first step to reinventing your breakfast buffet. Don’t forget that we also stock a wide range of craft supplies and professional industrial equipment, to suit your business needs. Most guests will wake up pretty quickly at the thought of a well-stocked breakfast buffet, but without the proper displays and equipment, a self-service feast can turn into a chaotic free-for-all. The secret to a great breakfast buffet is clever storage and display, and easy access. With a cereal dispenser from our range of catering equipment, you get all three in one handy unit. Serve up to three choices of cereal with this easy to use device that invites your guests to come back for seconds.